Investors In Gold And Silver: What Happens When The Music Stops? Investors in precious metals including gold and silver, are involved in a game where the reported inventory is not going to match the actual supply. An elaborate shell game has been going on for years where the same gold and silver is owned by a number of investors. What has become quite obvious to a number of individual, institutional and governmental entities is that a fraud of gigantic proportions, has taken place. 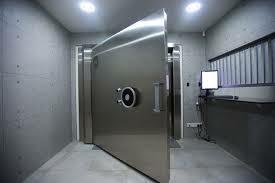 Gold, silver and other precious metals that have been “stored” for years is in many cases, no longer there. This may seem quite unbelievable, especially for those who have paid dearly to safeguard these caches. The issue of stated reserves and actual supply, came to the forefront beginning with the German demand to begin a further repatriation of their gold reserves. The financial authorities in Germany stated they had decided to bring the total of their reserves held in Germany itself, from 1/3 to ½ by 2020. To achieve this objective they intended to withdraw all the gold (11% of the total amount) held by France. This amounted to 374 tons. They then decided to leave the 445 tons (13% of their total reserves) in the United Kingdom. So the remaining amount to be brought home to Germany was to come from the United States. The German plan called for a withdrawal of 300 tons, reducing the percentage of their total inventory held in the United States from 45% to 37%. Unlike the British, the Americans and French never charged for the storage of German gold. However, unlike the 940 ton withdrawal from the United Kingdom in 2000 and 2001 the Americans in New York were not forthcoming. Previous German demands to see their national gold reserves were rebuffed, thus arousing suspicions that something was amiss. The German Court of Auditors had demanded in 2012 that the Central Bank of Germany verify actual holdings, through an audit. What followed was quite troubling. 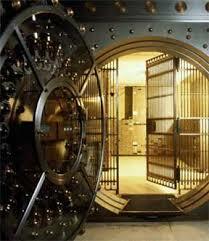 German authorities were denied access to their own gold reserves. Government officials in Germany had already been denied access to verify German gold holdings in France and the United Kingdom, by the Central Bank of Germany known as the Bundesbank. The official excuse given then, was the lack of visiting rooms at the locations where the gold was stored. At the Federal Reserve Bank of New York the unthinkable, was about to occur. When a German official from the Bundesbank arrived, he was unable to verify the existence of 1,500 tons of gold, which was close to half of total German reserves. Why? He was denied access. The last official audit had been conducted in 1979. Given the financial turmoil of the last few years, can anyone not understand German governmental concerns? Eventually a deal was worked out that the Germans would get back 300 tons of gold, but it would be 2020 before they received the agreed upon amount. Why the delay in shipment? The reason was obvious. German gold was no longer there. This was made apparent when the first shipment arrived. It was not the original gold that had been deposited in New York. That gold evidently had been melted down and recast years before. More troubling was that the first delivery of gold, was half the amount promised. A year after the settlement only 5 metric tons had been returned. This event merely confirmed what an audit by the Treasury of the United States in 2012 had already discovered. The amount of gold purported to be there was different then the actual supply. 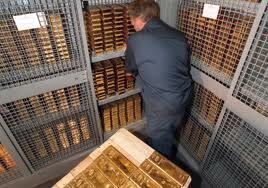 The Germans has deposited 1,500 metric tons, yet the total reserve still held at the bank, was a mere 419 metric tons. Although the Germans have not pressed the issue at the moment, the problem has not been resolved. This is because, not just German gold was stored there. There were other deposits made at this bank over the years. The total that should be there is 7,000 metric tons, of which 98% is owned by other central banks from a number of countries. As a result, there is a shortfall of 6,581 metric tons of gold as shown by the 2012 American audit. Are we to believe that other nations are not concerned about their own gold holdings, held in New York and elsewhere? Although it is not being well publicized, one can imagine meetings now taking place, to negotiate settlements of repatriation. These will necessarily be kept confidential, because a public airing of these events could create a panic in the precious metals market. Some national concerns have indeed spilled over into the press. It has been reported that Austria for example, now wishes to audit at least 150 metric tons of gold (some say it is as high as 280 metric tons) that they have on deposit in the United Kingdom. Why are the Austrians asking for a verification check now? Well, it is the belief of many officials in Austria that “their” gold is no longer there. Since the gold being returned to Germany has been recast one must now question quality. Will the gold being “returned” be of the same quality of what was deposited? The Federal Reserve Bank has now officially changed its policy of returning original deposits. Why? The answer is obvious, because supply even at this level is not going to meet demand. 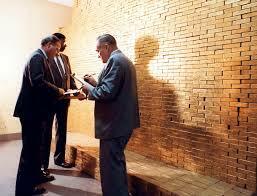 The list of central bankers making arrangements to see and most likely repatriate their gold must be growing. Are we to believe that the United States and the United Kingdom will be able to meet the demand? If one considers what occurred at the Federal Reserve Bank in New York, one would think it unlikely. The big players have a stake in trying to keep the obvious discrepancy in inventory, away from the media. Italy for example, is reported to have either the 3rd or 4th largest gold reserves in the world after the United States, Germany and possibly China (Chinese official gold reserves are unknown). The Italians are reported to have close to 50% of their official reserves, at the same Reserve Bank in New York. Supposedly, they are also in contact with bank officials in New York. Since an elaborate fraud has been perpetrated around the world on nations and institutions that have gold holdings on deposit in New York and London as well as elsewhere, one might ask where is this gold that is now missing? Well, it is obvious that the same gold is being claimed by a number of depositors and investors. Actual gold and silver inventories are not matching official accounts. There can be no other possible explanation. This leads one to question the other plausible fraud. If supply does not match demand, does that not necessitate a rise in the price? Should not gold and silver be moving up in price especially if one considers the massive amounts of physical gold and silver being purchased and shipped to nations like China and India? There is an obvious international collusion, in an attempt to keep the present price of gold and silver low. This will allow the large purchases of gold and silver to continue unabated for now. It will permit the bank authorities in New York and London to make needed purchases awhile longer. This will be necessary to keep the charade going forward. However, this will become increasingly difficult as more nations, institutions and individual depositors, demand to take possession of their own inventories. As in any bank run the first in line, and the largest depositors, will get their money and the rest will be left short. The fraud is continuing for now because the central banks of the world have a vested interest, in avoiding a situation that makes its more unlikely that they will be able to repatriate their own gold and silver reserves. The damage to the American dollar and the British pound cannot be underestimated, so one must assume that the governments of both countries are involved in the present scheme, or at least aware of the situation. They also have a vested interest to keep the price of precious metals, particularly gold and silver as low as possible, regardless of world supply. One does have to wonder about the advice individual investors are being given by brokerage firms, to liquidate their holdings of gold and silver now, before prices fall further. These banks and investment houses know exactly what they are doing. They have “customers” with very large orders to fill. These new clients, are the very bankers who have participated and perpetuated this international fraud in gold and silver for years. 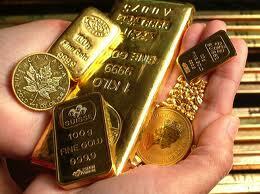 Some investment advisers are predicting that gold will drop to $700.00 USD (United States Dollar) or even lower. How they can make this prediction with inflation about to get out of control in the United States? As the American dollar is the world’s reserve currency a rise in inflation there, will make all commodities, including gold and silver more expensive. In addition, the international situation is continuing to deteriorate, especially in the Middle East. The issue of Russia and the Ukraine is unresolved and China is getting increasingly aggressive in East Asia. The periphery issues of instability in North Africa, North Korea, Venezuela, East Africa and elsewhere, only magnify the general feeling of unease with investors everywhere. 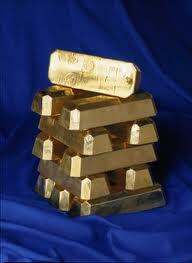 Can anyone honestly predict that the prices of gold and silver, in the present world situation will decline? Some of these investment advisers are actually foretelling prices below the cost of production, for an extended period of time. That would be in defiance of all common sense, if one considers the mechanics of a global market economy. The individual investor might want to invest in gold and silver now, while prices are being kept artificially low. However, I would advise that one take physical possession of their investment, considering the shell game that is now taking place. The arrangement that exists between the Federal Reserve in the United States and individual banks and brokerage houses, to maintain lower than market prices for gold and silver, cannot go on indefinitely. The practice of selling naked shorts in the paper bullion market,against the rising demand for physical possession of gold and silver is well documented. This was done on a widespread basis, the last time gold and silver spiked in 2011. The scheme works as follows. The Federal Reserve sends out information to brokerage houses, which in turn goes out to clients, that hedge funds and large investors are divesting their holdings of gold and silver. Individual clients are then advised to dump their holdings and the scheme soon becomes reality. As some investors are likely to follow the advise given to them, it creates a downward pressure on prices. As more investors sell, it creates momentum for even more investors to get out of the gold market, before the price drops further. The Federal Reserve is thus able to engineer institutional and individual flight from gold and silver at will. This of course leads to rapidly declining prices, at least in the short run. This practice saves the value of the paper currency and also allows the USD to maintain its position as the world’s reserve currency a bit longer. As stated earlier though, the lower price encourages nations that are interested in expanding their holdings of gold and silver, to increase their purchases at an even faster rate. It continues the massive transfer of wealth as measured by gold and silver, from West to East. Therefore, each time the Federal Reserve System in the United States and other central banks around the world attempt the aforementioned strategy, it ultimately increases the instability and general lack of confidence, in the global financial system at large. The game and the music will finally stop, when enough individual investors no longer have any trust in the national and global monetary system. As everyone rushes to a chair to be seated at the table, those who maintained their trust in a corrupt and debased system the longest, will be the ones without a seat. They will be the individuals facing financial ruin, and will be the ones left to pay the bill, of the game of musical chairs in the precious metals market. They will own gold and silver that simply does not exist.